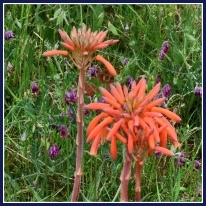 The Cape Fold Mountains of the Western Cape create the great divide that separates the temperate region of the Garden Route from its drier inland counterpart, the Little Karoo. 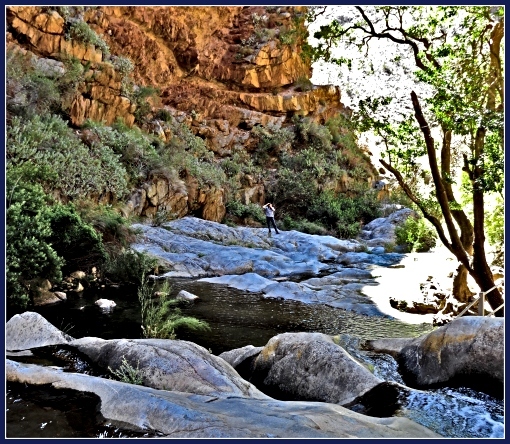 Many substantial rivers arise in the high reaches flowing eastwards to the Indian Ocean watering the environment and contributing significantly to both man and beast and to the creation of nature’s garden that has become known as the Garden Route. 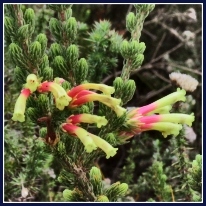 For millenia however, the Garden Route lay under an inland sea on the massive super-continent of Gondwanaland. 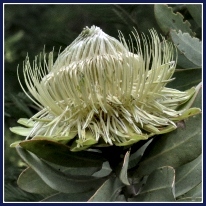 400 million years ago (how can we possibly conceive of that?) there was only one land and one sea that encompassed it. Rivers flowed into this sea bringing sediment with them that was deposited on a granite base. 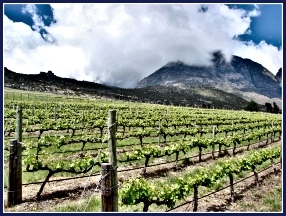 This sediment was converted to hard rock by pressure and heat and is called TMQ –Table Mountain Quartzite. Before this happened several crustal plates had formed over the earth's hot mantle beneath which was its molten core. These plates are different sizes and continue to move very slowly at about 15cms per year infinitesimally changing the world as we know it. At times they collide with staggering implications. 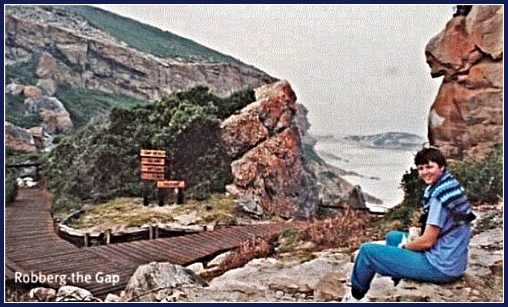 About 260 million years ago, such a collision caused horizontal layers of sediment and rock to buckle and tilt creating the mighty range of the Cape Fold Belt the base of which is TMQ. Many times over, the sea rose and fell against this formidable barrier, evidenced by archeological findings of layers of middens thousands of years old, of hunter gatherers and herders whose diet was clearly seen to be at one stage sea creatures, then meat at another stage later sea products again. 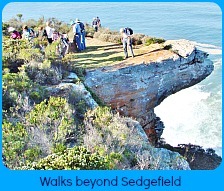 Visitors can see a good example of this today at Nelson Bay Cave on Robberg Peninsula, Plettenberg Bay. The cretaceous mud and sand eventually exposed as land between the Cape Fold Belt and the Indian ocean became sandstone and mudstone, a much softer material than TMQ. This Cape Fold Belt contains many cracks and faults and weaknesses so different layers have been exposed. On-going weathering by wind, snow, rainfall and rivers continually erodes the surface contributing to the stark appearance their high limits have today. For decades of the 19th and 20th centuries these imposing fortresses were a huge hindrance to transport and communication between the coast and its hinterland. Ox wagons laboured in treacherous conditions for days over the difficult terrain. 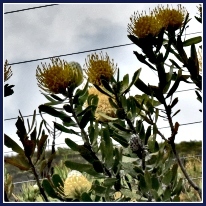 Eventually a railway line was built (1908 – 1912) between George and Oudtshoorn that made access to the coastline easier. 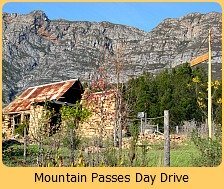 Andrew Bains and his son, Thomas were major road builders of their time and made names for themselves devising and building passes through and over the mountains in the Western Cape region. These passes still exist today, many of them built with prison labour, their workmanship without mechanisation to be marvelled, bearing testament to the ingenuity and perseverance of all the men involved in these massive projects. 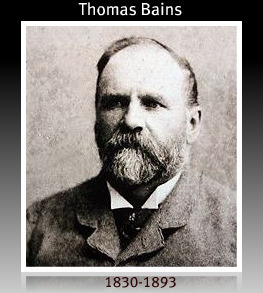 Thomas Charles Bains lived from 1830 to 1893 overseeing 24 major roads and passes from 1854 onwards. 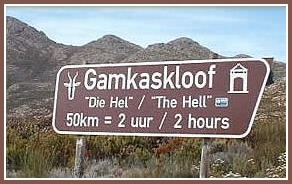 They include the following notable roads and passes. 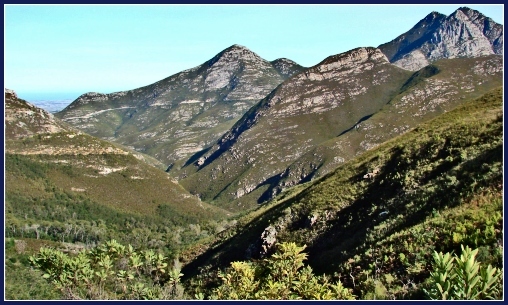 The spectacular Outeniqua and Tsitsikamma ranges are part of the dramatic Cape Fold Belt and the full extent of their magnificence can be viewed in a number of different ways. 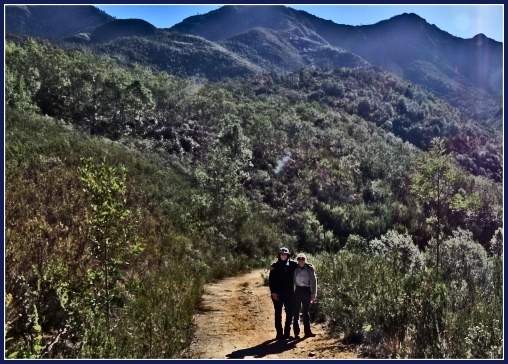 On foot, by hiking the 7 day Outeniqua Trail. 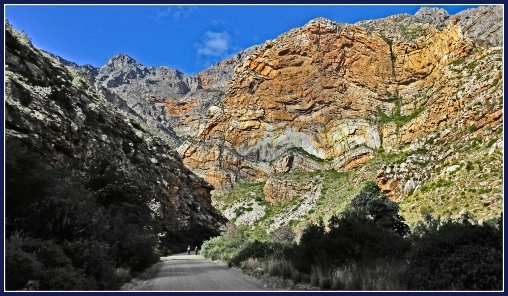 By doing various drives through the passes into the interior such as the Montagu Pass outside of George which wends its way through the valleys and then back on high ground via the Outeniqua Pass. 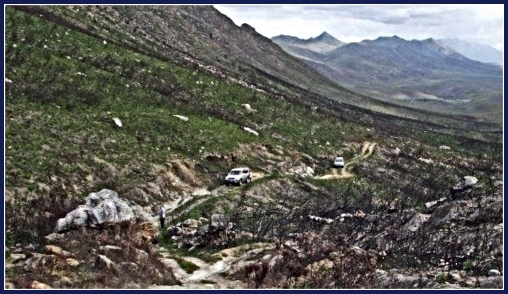 The challenging and rewarding Attaquaskloof Oxwagon (4x4) Route that was used before the building of Baine's passes. 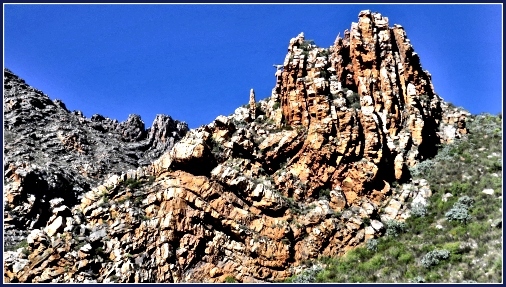 By travelling over the Outeniqua Pass to Oudtshoorn and doing a round trip back through Meiringspoort where you travel between rock walls seemingly right at their feet so that these great sentinels tower above you formidably, almost as if they are waiting to fall on you. 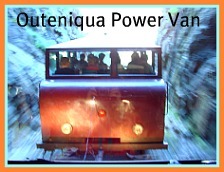 The Outeniqua Power Van that leaves from George Railway Museum daily is another great way to experience the magnificence of the Cape Fold Belt. 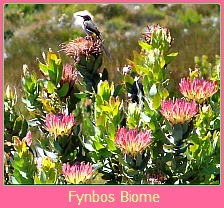 Clothed in a vast array of vegetation from indigenous montane forest deep in their folds (kloofs) to richly diverse fynbos - proteas, bulbs, restios (grasses) and flowers, to stark barren weathered rock, rivers and waterfalls, these mountains provide an awe-inspiring backdrop to the lush and dappled scenes of rolling hills, lakes, sea, forest, dunes and fynbos that epitomise the Garden Route. 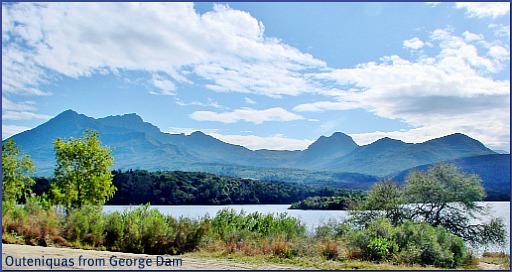 The highest peaks of the Outeniquas impose their presence over one of our major Garden Route towns, George. 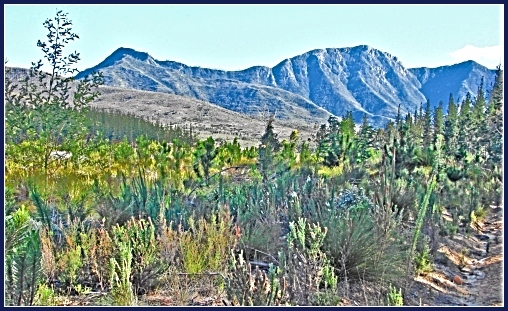 They are the town's namesake, George Peak at 1336 metres and Cradock Peak at 1578 metres. 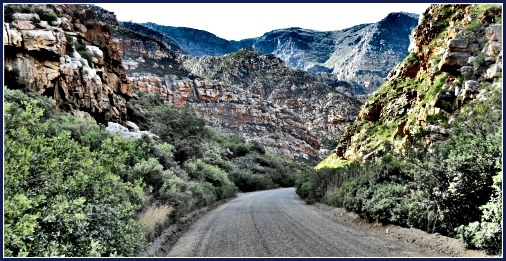 To my mind George is one of the loveliest towns in South Africa and even if you have flown in, it is worth hiring a car to drive over the Outeniqua Pass. It has several view points where you can leave your car and take some very inspiring photographs. Choose a clear day and you'll have a view right to the sea. 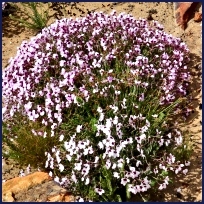 Every season reveals wonderful wild flowers of the fynbos biome gracing the mountain sides. 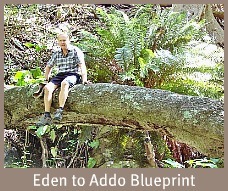 Some of the suburbs extend up into the foothills and people who live there can walk through plantations and indigenous forests at the back of the town close to their homes. 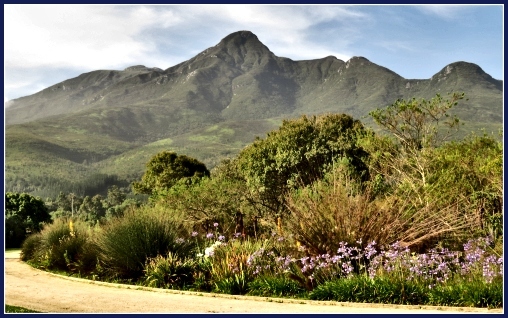 The Botanical Gardens in George are also complemented by the backdrop of these magnificent peaks. 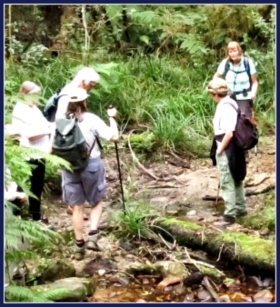 Join the Drakensberg Hiker in exploring the Drakensberg and KwaZulu-Natal! 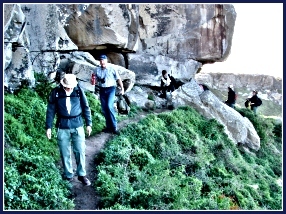 We'll organise your guided hikes, bird-watching, trekking, canoeing, backpacking, cycling or just checking out the Bushman Rock Art in the Drakensberg and throughout KwaZulu-Natal. 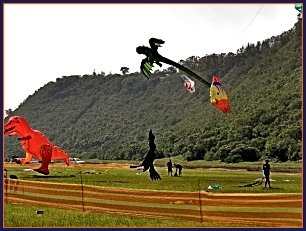 We present the best that KwaZulu-Natal has to offer, from Drakensberg to Battlefields and Game Reserves, and invite you to come and share it with us. 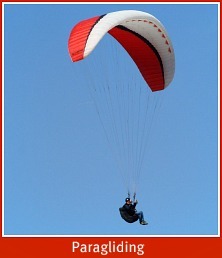 (MMT) is an independent ultimate outdoor adventure team, based In Nepal. We explore the unspoilt flora, fauna and landscapes of and around the towering Himalayas - as well as the treasures of myth and legend of Nepal, Tibet, India and Bhutan. 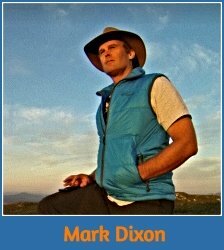 Mountain Professor is your online encyclopedia of everything you need or want to know about mountain climbing, travel, school, or whatever... including easy-to-understand information on mountain safety, mountain formation, lightning safety, dehydration prevention, hypothermia prevention, how to stay warm in cold high altitude weather, and much more!